This delightful ABC fabric book for kids is such a wonderful education tool. 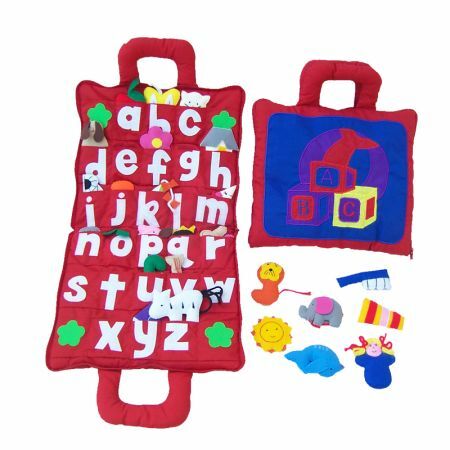 This education tool allows for parents to work with their children on stimulating their speech, working on the alphabet, fine motor skills by picking up/putting away each letter and object identification. This is ABC fabric book is great to take in the car, out to the restaurant and even on the airplane. It’s zipper keeps all pieces safe and is super compact to fit easily in a purse, nappy bag or carry on bag.